Happy Monday! I hope you had a great Mother's Day weekend! As always, I like to start the week off right with some words of motivation. 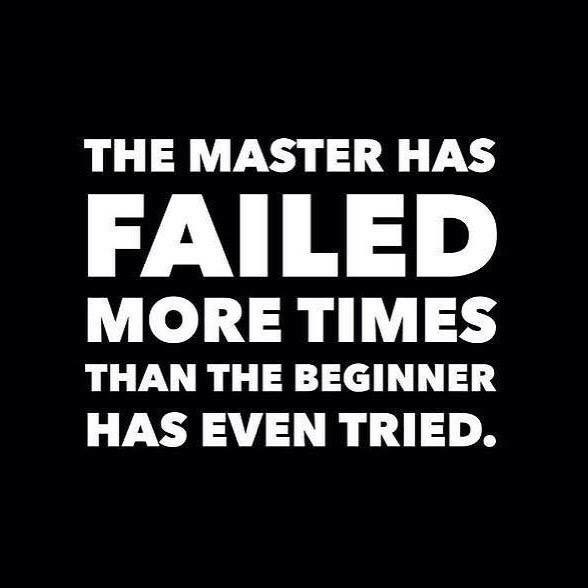 So many never get started as they are so afraid of failure. However, it is the actual failures we learn the most from, that allow us to develop into the person we must become in order to make our goals and dreams a reality! Don't run from failure, but embrace it, learn from it and allow yourself to get better from each failure! Keep up the amazing work and have a great week!